Rio 2016 will be a Games of technology firsts. For the first time ever, the systems to recruit volunteers, support workforce management and process accreditations will be managed in the Cloud. Yet the Rio Games also mark the end of a technological era. They will be the last Games at which the Integration Testing Lab, a critical part of the IT operation which tests every system, application and the infrastructure itself, is located in the host city. In future, a permanent facility in Madrid will carry out thousands of hours of virtual testing. To move the Games’ digital transformation on still further, all systems and applications will transition to Canopy, the Atos Private Cloud service with EMC as delivery partner. 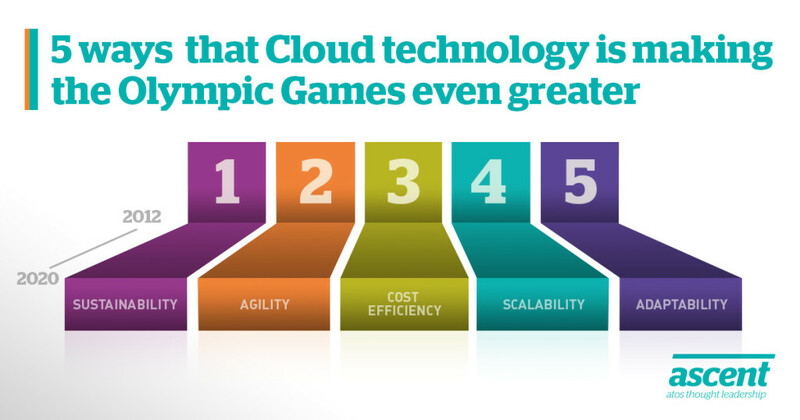 For PyeongChang 2018, Tokyo 2020, Beijing 2022 and beyond, Games IT will be run entirely from the Cloud. Marta Sanfeliu is the Chief Operating Officer for the Olympic Games at Atos and has worked at every Games since Sydney 2000. Marta talked to Ascent about the benefits of delivering IT in the Cloud for everyone involved in the Games. “The Games happen every two years, in a different place. They need a massive computing infrastructure and produce huge amounts of data. Agenda 2020, the International Olympic Committee’s strategic roadmap for the future of the Olympic Movement, talks about the importance of taking a sustainable approach to every aspect of the Games. “Thinking back to my first few Olympic Games, the approach was to keep redoing what was proven to work in previous Games. We built systems that supported the Games from 1992 to 2008 without any major change. That is totally different today. Technological advances have made us so much more agile – I’d say innovation and delivering a better spectator experience Games after Games are now embedded in our DNA. “From PyeongChang 2018 onwards we will be implementing all services in Canopy, the Atos Cloud platform, and then reusing the same Cloud for Tokyo 2020, Beijing 2022 and whichever city hosts the 2024 Games. “Games IT doesn’t need to operate at full capacity all the time. From PyeongChang 2018 onwards, Cloud infrastructure means we can scale our computing power up and down. “We have seen dramatic changes in a very short time. It’s exciting now to look beyond PyeongChang 2018. With smartphones increasingly at the heart of our daily lives, can we deliver more services through mobile devices? More services through Wi-Fi? Cloud will help our teams react faster and also anticipate and adapt to new challenges. The Agenda 2020 process launched by IOC President Thomas Bach in 2014 was a wide-ranging consultation designed to highlight the challenges and the opportunities that will guide the Olympic Movement in the years ahead. The recommendations that emerged from the process are built around three key themes: sustainability, credibility and youth. The digital transformation of the Games addresses all of these themes now and for the future. It raises exciting possibilities for engaging with athletes, spectators, the media and TV viewers in a more personalised and meaningful way. Technology is critical to the Games – the world’s greatest sporting event simply could not happen without it. Now that Cloud solutions are mature enough to support Games-critical systems and applications securely and ensure the service levels we need, delivering the Games in the Cloud brings the additional benefits of scalability, agility and sustainability. The Games of the future will produce increasing volumes of data which we can use creatively to promote our values and engage with young people. Crucially, Cloud-based solutions will mark an important step in preparing for the Olympic Winter Games PyeongChang 2018 and the Olympic Games Tokyo 2020. We will be able to enrich the experience of all the Games stakeholders through targeted content across multiple channels. By interpreting and visualising data in new and imaginative ways, we can use the achievements of Olympic athletes to inspire young people to become involved in sport – and bring one of the Agenda 2020 themes vividly to life. Marta Sanfeliu was the Chief Operating Officer of the Major Events unit at Atos. 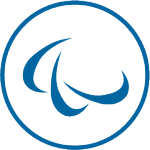 The unit covers all Atos large-scale events, including the Olympic and Paralympic Games. Marta is responsible for leading the commercial and technological development of this area of the business. Marta has eighteen years’ experience of working on the Olympic Games. In previous Games she was the Chief Integrator for the Sochi 2014 Winter Games, Operations Manager for the Vancouver 2010 Winter Games, Central Operations Manager for the Beijing 2008 Olympic Games, Games Management System Project Manager for the Athens 2004 Olympic Games, and she also managed the Electronic Accreditation and Sport Entries applications at the Sydney 2000 Olympic Games. Prior to working on the Games, Marta was an IT analyst for the Spanish Commercial Office in Beijing. Her career started in Barcelona as a developer and business analyst at IBM for financial systems used in the banking industry.